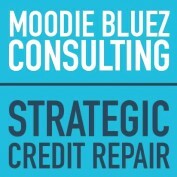 Moodie Bluez Consulting was started in 2013 by Shawn Moodie, a credit coach with over a decade of experience in the financial services industry. Since then, Shawn and Moodie Bluez have helped hundreds of people repair and maximize their credit score. The Moodie Bluez team and strategic partners are available to help you develop a strategy to increase your credit score to its ultimate potential in the shortest possible time. Our mission is simple: Provide our clients financial freedom and limitless opportunities through credit empowerment. Credit empowerment can take on many forms, including but not limited to, credit establishment, credit building, credit repair, and/or credit maximization. Credit, or your financial reputation, plays an important role in your everyday life. A high credit score can help you to reach financial, personal, and professional milestones that you might not be able to achieve without one. Moodie Bluez is committed to helping you make those goals and milestones tangible and achievable. Here are 27 tips to save money while protecting your credit this holiday season that won't compromise the quality of your gifts!